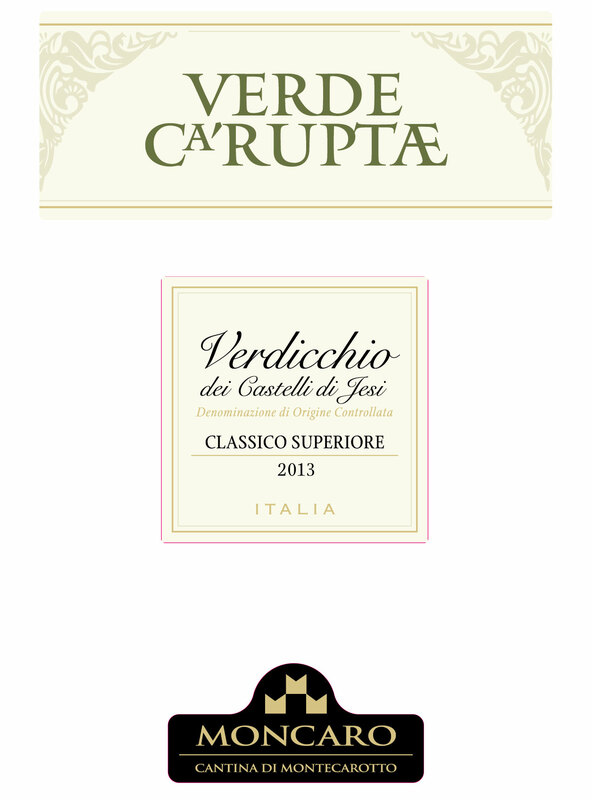 This wine is made from 100% Verdicchio grapes. The harvest consists into two phases: manual picking and partly by machine during the coldest hours of the day. All operations are carried out in oxygen-free environments, under inert gas, to protect the wine from harmful oxidation. Gentle pressing and gravity cold-settling of the juice are followed by fermentation at very low temperature and with specific cultured yeasts. Maturation and storage without oxygen, under inert gas. The wine matures briefly in steel and then bottle ages in temperature-controlled storage. The sparkle of its green-flecked, pale straw-yellow color serves to signal the wine’s tangy freshness. Bouquet: forward aromas of white peach, citrus and apples pour out, accompanied by subtle bitter-almond, classic to the Verdicchio grape. This heady, ultra-appealing aromatic medley seems endless. Palate: dry and smooth, which accentuates the wine’s freshness. The alcohol, perfect in both level and character, works beautifully with a nervy acidity and savory fruit, making this a wonderful wine to enjoy while still in its youth, the quintessential wine for summer but appreciable all the rest of the year. 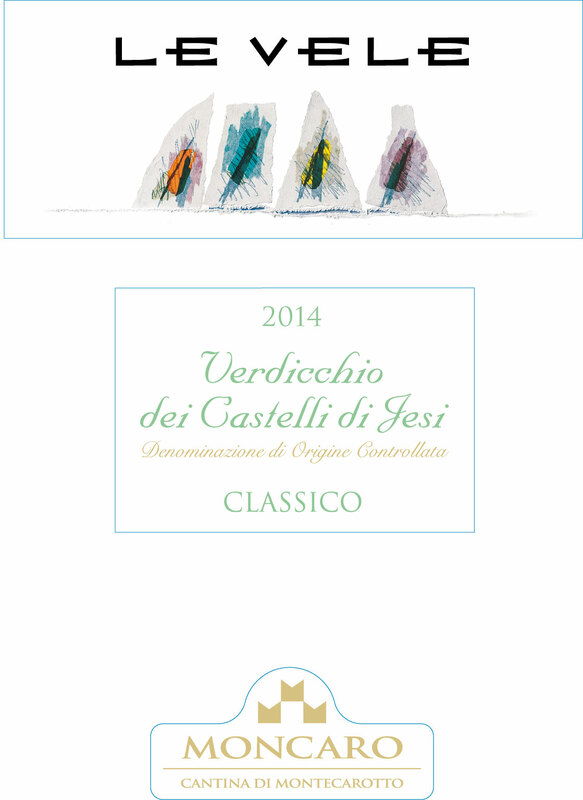 This wine is made from 100% Verdicchio grapes which grow in the Marche, province of Ancona. The soils derived from alluvially-deposited seabed sediment, predominantly Plio-Pleistocene and Miocene clay and sand. The clusters are de-stemmed, then the juice is cryomacerated on the skins, the free-run must is separated out and gravity settled, then undergoes a temperature-controlled fermentation with cultured native yeasts and then it matures 4 months sur lie in steel, with regular bâttonage, then the wine bottle-ages in temperature-controlled storage. It is a lively, sparkling straw-yellow color, flecked with green and gold wine. Bouquet: a compelling aromatic amalgam of stone-fruit, wild herbs, yeastiness, pungent blackberry and acacia blossoms, with light hints of broom. It is impressive for its length and intensity. Palate: lean and dry, yet rounded and smooth, still delicate, with good support from the alcohol. Its crisp acidity and fresh fruit, complemented by the wine’s aging on the lees, contribute substantially to the balance as well as to its significant body and weight. Time will bring greatness to this wine, as it expresses its full potential, with all of its distinctive sensory qualities preserved. This wine is made from 100% Montepulciano grapes from the Rosso Conero zone, near the Monte Conero promontory, on the Marche coast of the Adriatic sea. The soils derive from limestone-marl rocks interspersed with zones of dark-red earth, clay and Plio-Pleistocene era rock near the promontory. 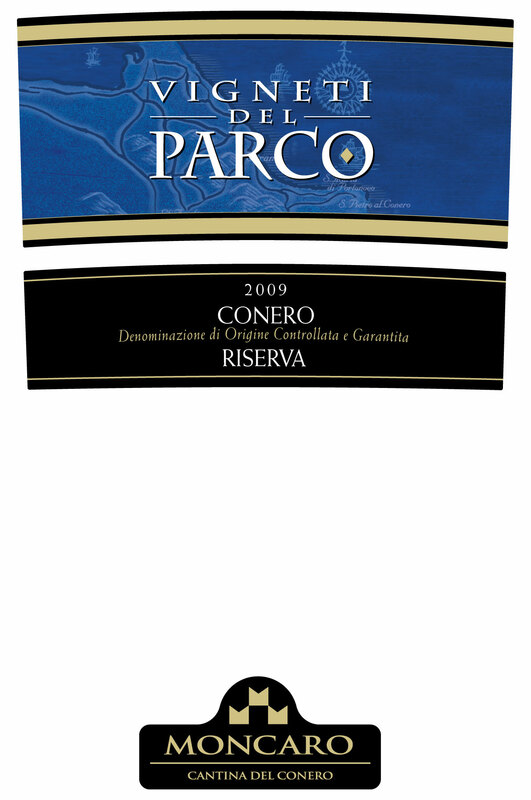 This is an innovative wine, produced with pre-fermentation cold maceration, then controlled-temperature fermentation, followed by early racking “a dolce” (with residual sugar). The maturation take place partly in wood and partly in cement vats for about 7 months. This is a deep ruby red wine with purple highlights. Bouquet: bright cherry and wild red berry fruit, particularly raspberry and wild strawberry, with floral notes of violets. Palate: velvety texture, well-balanced, with a vibrant crispness. It can already be enjoyed in the year following harvest. Its obvious youthful qualities best suit it to be enjoyed during its first two years, but it gives considerable pleasure even after that. This wine is made from 70% Montepulciano and 30% Sangiovese grapes. The vinification in steel fermenters, with frequent daily pumpovers and lengthy maceration on the skins and then it matures for a year in large Allier and Slavonian oak barrels, and a further year in the bottle in temperature-controlled storage. It is a luminous ruby-red wine tending to garnet at the rim. Bouquet: a refined, very lengthy nose presents intense aromas of wild cherry melding impressively into subtler impressions of dried plum, while a generous florality infuses everything. Palate: impressive immediately for its supple tannins and fresh sapidity, its balance, smoothness, and perfect alcoholic warmth. It exhibits fine weight and length. 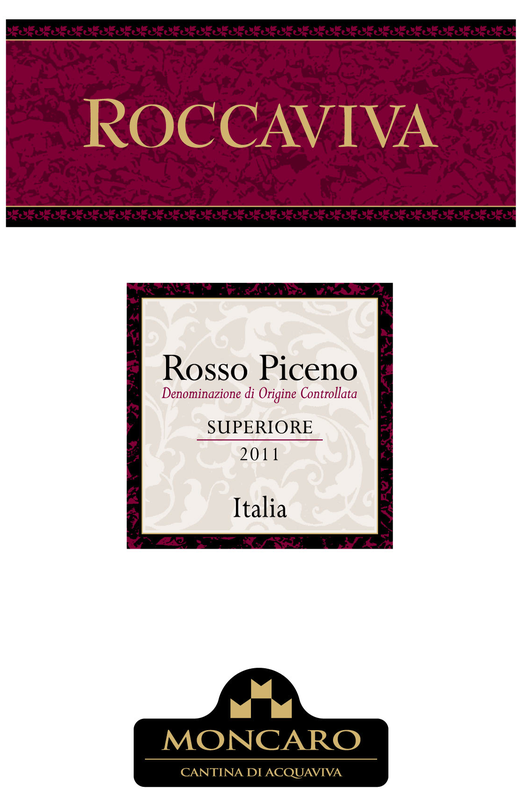 Do not be too hasty with Roccaviva Piceno Superiore, since it expresses its finest qualities two years after harvest. It is a wine of great breed that deserves careful attention and slow growth, and then serious attention when enjoying it. This wine is made from 100% Montepulciano grapes. The late-ripening varieties are picked by hand, selecting out the finest clusters, which are then immediately de-stemmed and gently pressed. The must undergoes fermentation in small, lined cement vats, with frequent pumpovers each day, then the wine macerates on the skins for numerous days. The wine is drawn off and matures for about 18 months in barriques and in small French oak barrels, then ages in the bottle for at least 1 year. This wine has a rich, luminous ruby red color tending to purple, the tonality notable for its depth. Bouquet: it offers refined but emphatic aromas of sour cherry and dried violets, which seem never to end. Last to emerge are multi-layered, evolved impressions that duet with elegant scents of oak vanilla. Palate: rounded, firmly structured and savory. Fine-grained, impressive tannins act as an effective foil to the alcoholic warmth, creating an admirable balance. A superbly-elegant finish brings all of the components into harmony. Extraordinary capacity for long-term aging, enabling it to evolve over many years and to deliver astounding surprises.